I have two weeks until my Fall semester starts and I’m counting down the minutes! I absolutely love school and cannot wait to be back and get to the grind! You all know I love making goals so of course I need to make some for the upcoming semester! My desk is an unorganized mess because the drawer broke and it always falls out. I’m hoping to fix the drawer so I don’t have to buy a new desk! I do my best work when I’m sitting with all of my stuff at the Library so if I can have a library day once a week to get ahead on all of my stuff I should be golden. School is always so busy but I’m really determined to keep up my blogging schedule! Whether its read some of a book, write a blog post, go for a walk, watch an episode of a tv show, anything. Make sure I do something like this once a day so I stay sane. I’m the laziest person in the world, especially when it comes to cooking. But, I’m determined to meal prep more often so I’m eating out less. Sometimes school can be so stressful but this is really my last year as a college student, so I want to make the most of every single day because I know I’m going to miss it when it ends. 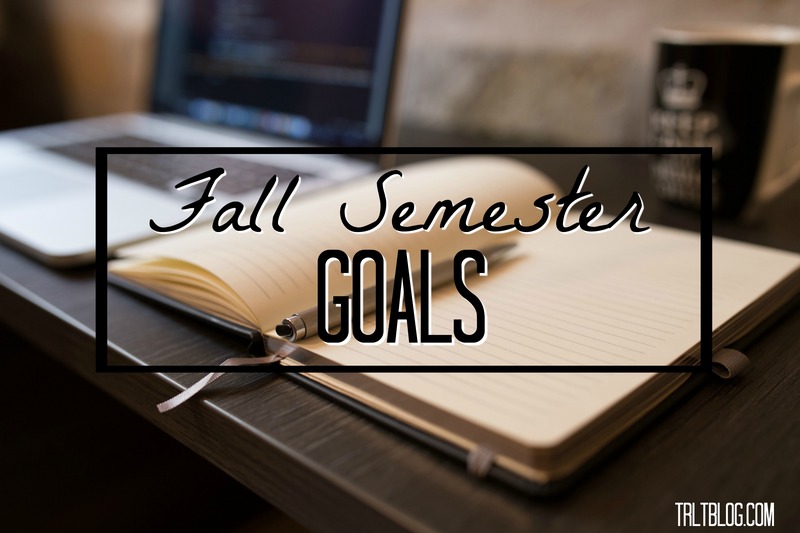 What are some of your semester goals?